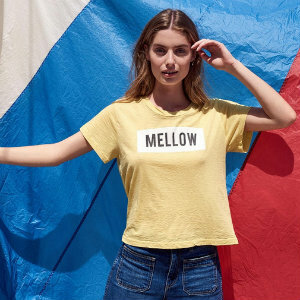 Sister stores Marlowe at Fashion Island, Sienna Brown at Corona del Mar Plaza, and Coastal Cool at Newport Coast are launching into spring with awesome items in store, and heaps of gorgeous Sundry. Sundry, one of my favorite lines epitomizes coastal casual with a French chic. It’s perfect for vacations, weekends, and casual weekdays. It’s so comfortable, you’ll look forward to the days you can wear your Sundry sweats, tops, tees, sweaters and more. All of the sister stores feature exciting designers for casual luxury classics. Open 9 a.m. to 9 p.m. Monday to Saturday; 9 a.m. to 6 p.m. Sunday. Coastal Cool is at 736 East Coast Highway in Crystal Cove. 949.494.4545.